In a prior blog, I discussed the work that we are doing to improve the confidence in our business value assessment process and metrics. I highlighted an example of ME21N (Create Purchase Order) – the challenges associated with the variability of time savings associated with Winshuttle optimization; and how the use of confidence interval statistics help to identify metrics that provide us with a level of accuracy in our assessments. 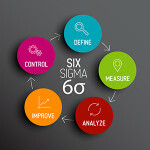 Of course that was one and only one example, and if you have been reading this series on the BVA process you know that we have over 700 various SAP process innovation opportunities available as far as metrics to assist you in identifying your candidates (both user and transaction) for SAP process improvement. So the point today is to show you a tool that we have developed using Tableau Desktop V7.1 linked to our SQL Server database of Winshuttle BVA statistics. This tool is an “Interactive Confidence Interval Tool for the Winshuttle Business Value Assessment program” which allows you to select various modules and transactions to gain a better understanding of savings metrics including time saved, records processed by the overall data gathered or segmented by industry group. The best way to see this program in action is to click on the following video link which is a 7 minute overview of the tool. 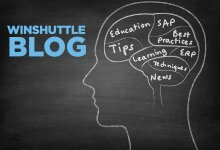 If you like what you see, feel free to comment or let me know (or your Winshuttle Account Manager) and we can arrange to use this tool along with our other business processes to help you identify your SAP process innovations for now, 2012 and beyond…!